On Page SEO Checklist 2019 - Techniques to Get Ranked in Google! Looking for a perfect On Page SEO Checklist for 2019?? 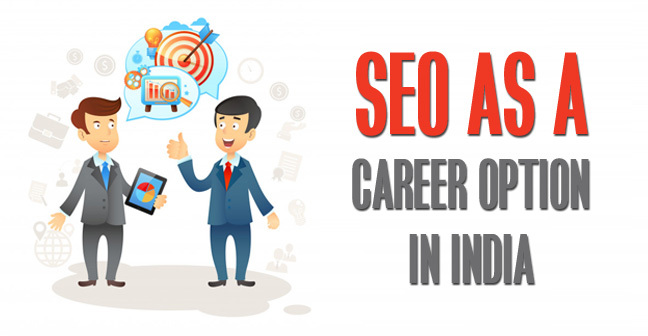 Read this blog and find out what are the major on-page SEO ranking factors of today. On Page Search Engine Optimization has always been the vital part of SEO. It is one of the most important aspects of SEO that works for page ranking. Today’s post contains everything you need to do to rank in google and make a perfect On Page SEO techniques 2019. If you are going to make a new landing page or improve your pages, you must have a look on this checklist. 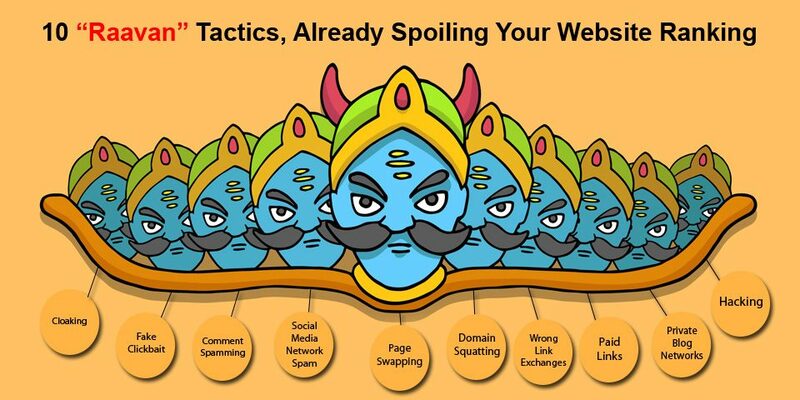 Bringing traffic to your website is not so tough if you use exact tactic with correct strategy. Let’s go through the On page SEO checklist of 2019 step by step. 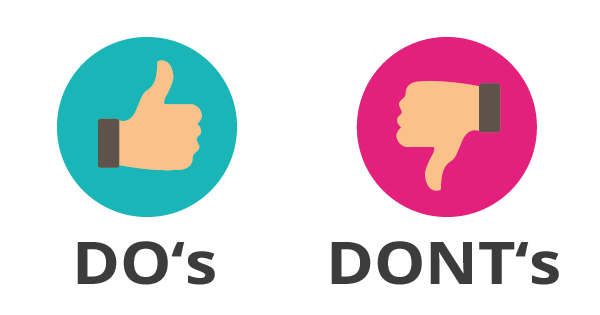 On Page SEO Checklist of Techniques Which Must Not be Avoided! Before knowing about On Page SEO techniques, you need to understand what actually the On-Page SEO is. On Page SEO is a practice to optimize every page of your website in such a way that the page gets high ranking in SERP and potential traffic. 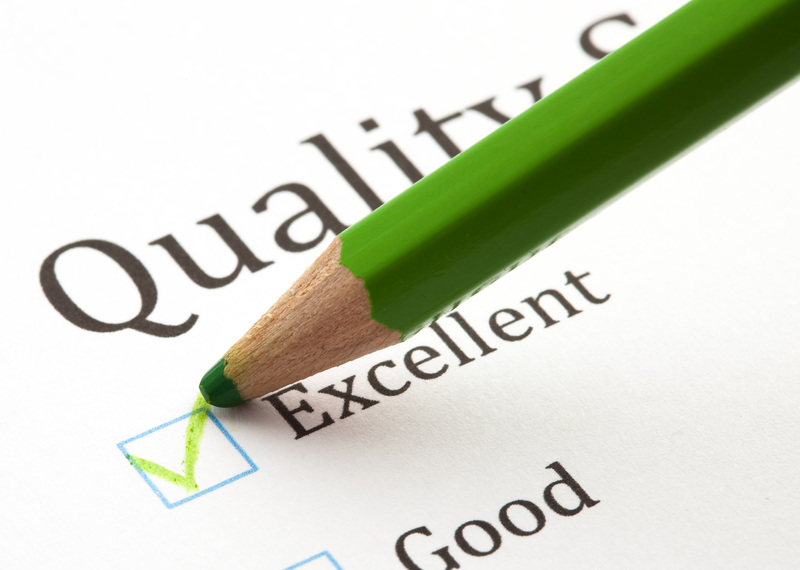 It’s one of the most important factors to rank your website. Correct use of On Page SEO makes a website Authority. Let’s see the On-Page SEO factors checklist for 2019 given below. Use keyword or keyword phrase in the URL naturally. Let your URL show information about your page. Avoid ugly URL that is self-generated. Don’t ever use a different URL for the same page. Your post is live, check your robots.txt file and make your URL indexable. Title tag shows what your page is about. So, keep higher relevance with content to your title. Use Keyword in Title tag in a natural way. 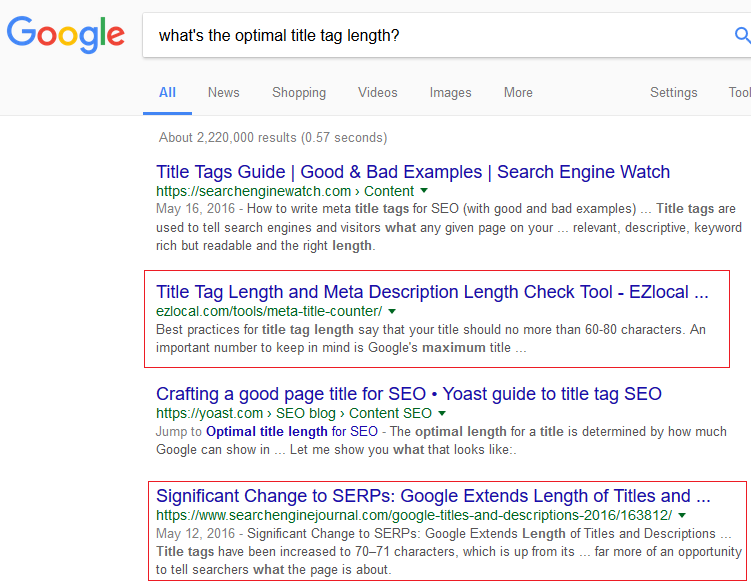 Pages rank very well if Keyword is used properly in Title. Use a keyword at the beginning of the title instead of using it in the middle or last. Add modifiers to your title such as 2019, best etc. They help to rank in a long tail version of your specific keyword. H1, H2 and H3 tags are the most important part of your content as it tells the crawler about the parts of your content. There should be Only 1 H1 on your page or post and it must include your focus keyword with it. There can be multiple H2 and H3 which should also include the keywords from the keyword family. Note it that if you are using WordPress then there is no need of H1 tag, You post or page Title is automatically H1 in WordPress. Divide your content according to headings as shown in the picture below, it will not only make your onpage score better but also increase the readability of your content. Media works great for engagement as users understand more through images and videos than texts. They also add beauty in your post. 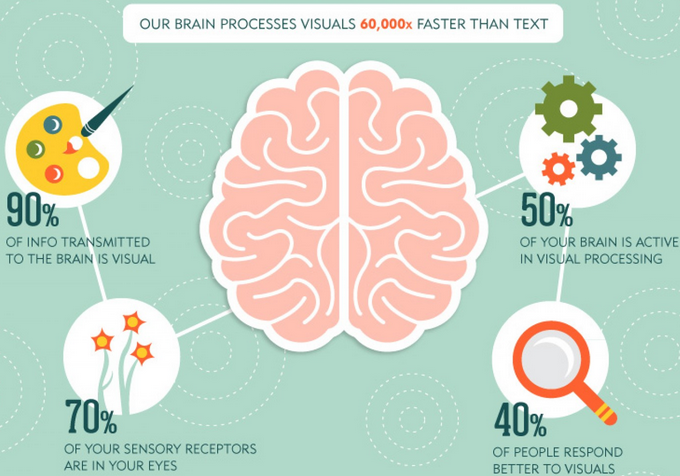 Use images, videos or infographic in your post. Images used in the content must contain a title and alt text, and alt text is also an opportunity to feed your page or post with keywords, try including your image alt text and title with keyword family and variations. You should give information to the search engine about your site as much as you can. 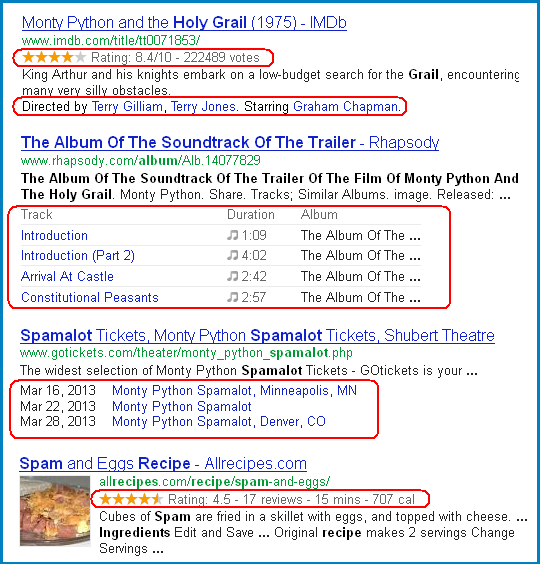 A structured data markup helps you in doing so. It is also known as the Rich Snippet. However, this does not work for every type of content. This information can be reviews, ratings, business etc. Rich Snippets are not directly linked to SEO but can surely help you to increase the CTR which is indeed the most important aspect. As told above, you should inform the Google/search engine about your site as much as you can. 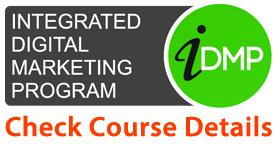 Insert the keyword you are targeting to rank for in the first paragraph of Content. Try to cover it in the first 100 to 150 words of your post. Using Keyword again and again (keyword stuffing) can lead to severe issues and penalties. JUST DON’T DO IT! Meta Description is like an ad copy from Google which is free. Here you can define your content more in 150 characters. 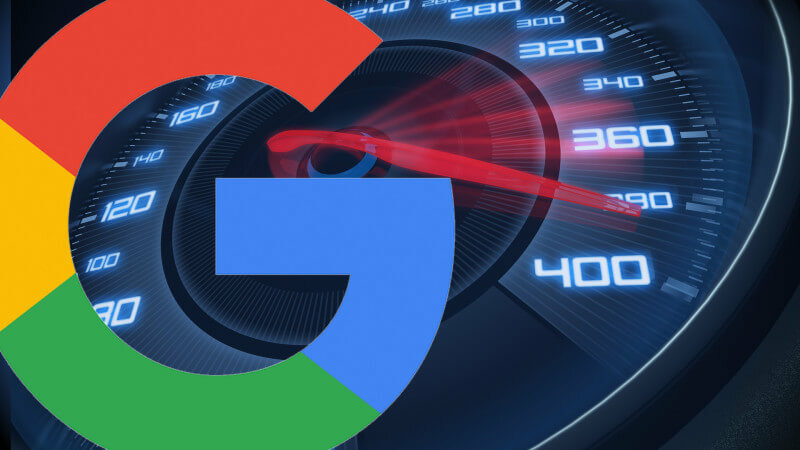 Google itself is giving you a chance to advertise your content. Take advantage of 150 characters and utilize them by adding special information such as ‘ a call to action’, note, brand name, featured details about your service or business and don’t forget to add your target keyword in the meta description. Internal Linking in any page is much important as it helps the users and search engine to connect to your content and understand the architecture of your website easily. Use internal linking in your post with correct and relevant Anchor Text. Your goal should be to engage the user and move him around your website. Provide various page links in a post but relevancy must be considered. Outbound links put much effect on your website ranking. More than relevancy and ranking in SERP, the outbound link is highly useful as a trust factor. Remember to use the relevant and authority websites for link building. Use correct anchor text for it. Keywords are important to write in your content but when they come naturally in your language, it put more effect on that. The content should use long or short tail keywords several times throughout. This is also called LSI or Latent Semantic Indexing in which context relevancy to the keyword is checked by Search Engine. Here, Search Engine observes your content relevancy through synonyms and close variant to the keywords. Use a detailed piece of content as much as you can. An average length of a blog post should be at least 800 -1000. It may be hard to write initially, but you can write it in pieces. Write 800-900 words at first time and update this content later to 1200-1400 words. It is one of the most important factors for your site ranking. Website with slow speed can easily be skipped by a user even if it is ranking on top. Switch to a faster hosting, compress images in your post or you can use CDN also. It will be counted as User Experience from your site and User Experience is everything for Google. If it is bad, your website will pay for it. Try Using Images of less than 100 kb in your posts and pages, if you don’t have such images and then you must compress your images before uploading them, Larger Images increase the load on your website which will directly increase the load time. 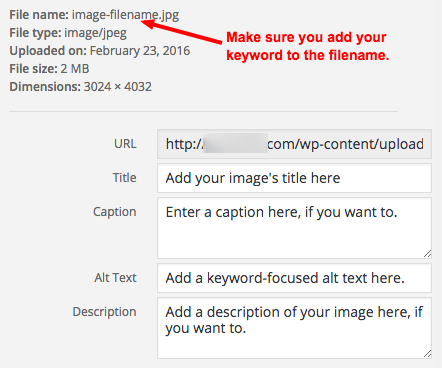 An optimized image also means, proper image name(title) and alt text! It may not play a direct role in ranking in SERP but Social Sharing buttons give you more views and users. A combination of SEO and Social Media is a perfect match. It encourages distribution of your content as well as get you more eyeballs. Most of the users who read your blog use a mobile phone. And it is necessary to look for their comfort also. 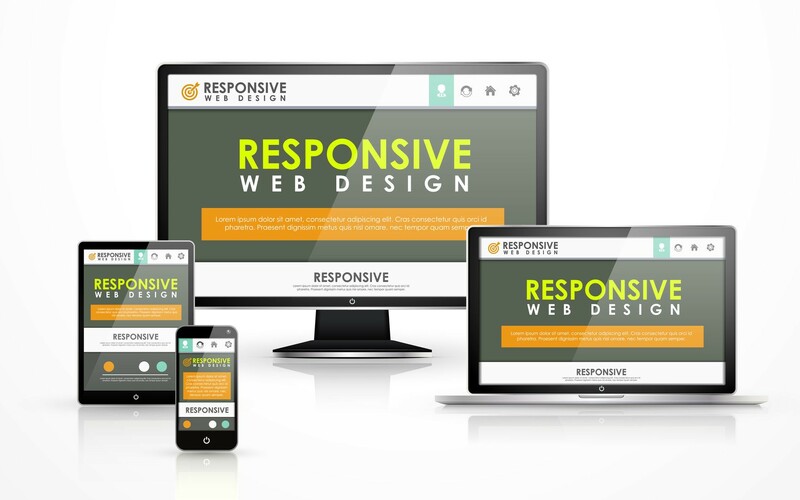 From Recent Google Update, a website which does not have Responsive Design will be lowered in SERP. And that is why it has become more important now. If your font is too small or difficult to read or page formatting is not good, it can rank lower even if you have the quality content and well-rehearsed SEO in your content. 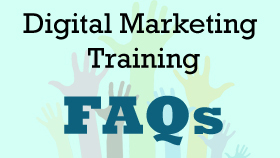 You may get a higher bounce rate which shows Google that your page is not offering value. Google itself has said that having a good community on your site can help you a lot. Encourage people to comment on your blog post and also reply to them as it helps to increase user interaction. 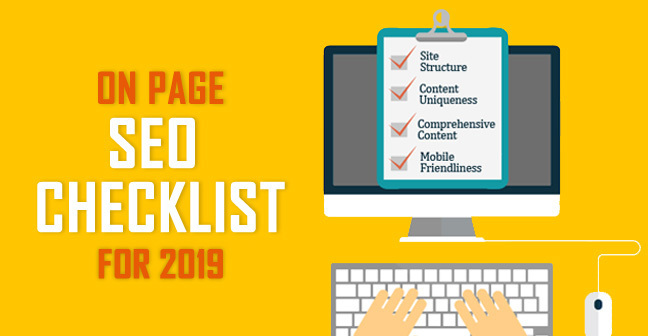 So, this was the on-page SEO checklist 2019 which definitely will help you to rank better in SERPs. Better you can satisfy User’s need with you fantastic content, better you will rank in Google. NOTE: The above-mentioned Checklist is according to latest updates. Really this is all nice information regarding On-Page SEO Techniques 2019. Particularly I like the topic Internal Linking with relevant Anchor Text. Here the way you are exploring how internal links are most important and how to engage the users with our website. Thanks for your valuable information.